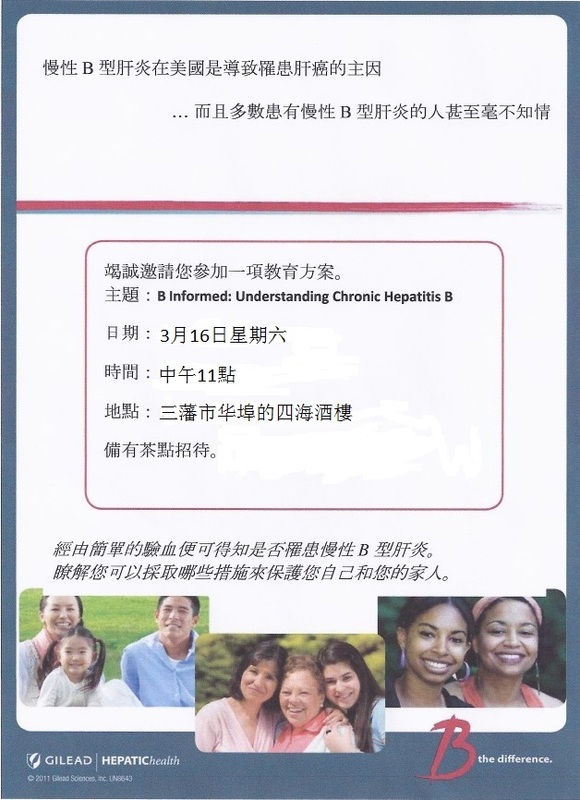 Dr. Jiayi Li Sincerely invites to “B Informed: Understanding Chronic Hepatitis B". Do not miss your chance to learn more about how to prevent and to treat Chronic Hepatitis B. Saturday, March 16, 2013 11 AM, Four Sea Restaurant, 731 Grant Avenue, San Francisco. Will serve snacks and beverage.